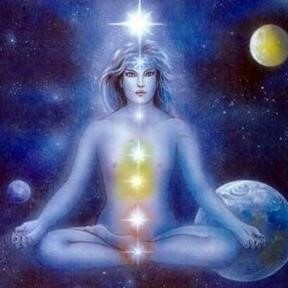 Many are awakening to their unique connections to the stars. To the various systems that have been working with us throughout our reality. The Sirians, Orions, Pleiadeans, Arcturians and so forth. This is our bringing in our multidimensional consciousness aspects of our Soul Remembrance or Akash. 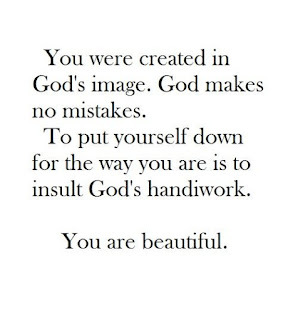 In certain respects, this is what was meant by the statement, “thou shall have no other God’s before me.” We were not supposed to sever our connection with our own personal Divinity, that has always been directing our lives from our Heart. This is the aspect of ourselves that never has forgotten our inherent and innate Divinity, nor has it left that realm. And when we put the Maya of Creation ahead of our communing with our Divinity, we have “placed” another God, before our “true” God; or connection to Source. 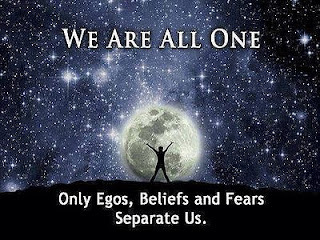 For our Higher Self is in Oneness with God, now. This aspect of ourselves, which is really the “true” us, is the one that has been patiently awaiting our awakening. This is why we see many pictures of Jesus, or Mary being depicted with the Heart being exposed. And the depiction of the “crown of thorns,” that we have imposed on our own Divinity; through our own self-imposed exile from our own Heart. Our direct connection to “All That Is.” And this is why they always point upwards while pointing at the heart. 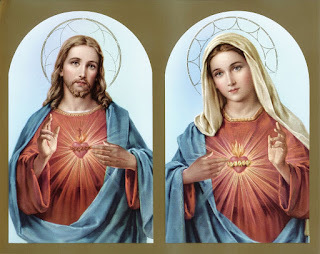 They are saying, unchain our hearts and we will ascend back to our Divinity. As that is what they did as an example for us. Not on behalf of us. For all must ascend on their own. No one does it for us. As we have direct access to Divinity from within, firstly, not without. So, no one can do it for us. This would be like having another take an exam for us, and then claiming we know how to do it all; when we didn’t even take the exam ourselves. This is where all that state they have never left us, are accessible from. They are all accessible from within our Heart. And when it serves us, they come through; even if through the mind of the ego. However, they know that we have chosen “free will.” So, they are very cautious of not violating this. Thus, we must invite them into our direct consciousness and reality if we desire their company. We have to extend our energies, through our Heart to them. And they respond immediately. For in truth all “time” is now. Many of them function from beyond time and space. We have a “central tube” that all of our Chakra’s receive their prana from. 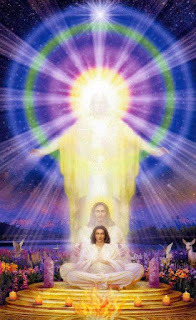 And before what is known as the “fall of man” we would receive our energy directly from our Higher Self, through this tube, which would be directed throughout the four lower bodies through the Heart. We would direct the flow, harmoniously through the heart to all of our various bodies. 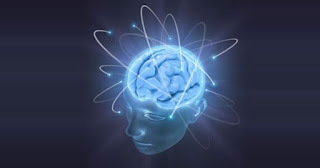 The mental, physical, emotional and etheric bodies. This is how we were designed to function. The purpose of the brain is to keep the “illusion” of 3D “linear” time reality in our experience. And this it does, extremely well. This “linear” view of time and space is very unique to the 3rd dimension. In all other dimensions, the illusion of time exists in a multidimensional aspect. However, when we transitioned from living from our Divine aspect, our heart; we put the mind in charge. And this was never its purpose. When this happened the various four lower bodies, fractured further and began to “rebel” on their own. As we were no longer harmoniously functioning through the heart. All the various bodies began creating discord. This is why some do not have control over their emotions, thoughts and actions. For these ones have not associated that they are divine Creators. So, they feel that it is merely “human nature” to be what society dictates is the “norm.” And yet, look at what those that follow this path live like? Much like drifting in the wind, their various unruly bodies take them here and there all throughout their days. Sometimes emotionally, other times mentally. And then the etheric body chimes in with past life traumas. How does this occur? Prana comes down the central tube from our Higher Self. This is how we live in this reality. Our Higher Self, keeps our heart beating, and give us the prana that allows us to have our experience in this reality. And when the “fall of man” took place the various bodies began taking the prana directly rather than waiting for the heart to direct it. This is when we let the emotions, mental constructs and basically rebellious nature throughout all of our four lower bodies take over. They each in their own way “rebelled” and vied for our attention. In other words, we “fractured” or went into separation even further. This is why our entire journey back to Source is us going back into Oneness. As we bring our various lower bodies back into harmony, they will harmoniously take the direction from the heart, as was intended. And as we do this individually, we then accomplish this collectively for our planet. And as this occurs, we further the Divine Light throughout the Solar system. All the while, our experiences and participation within the universe increase. Then the galaxy. And on and on. For all time is now. So, every accomplishment we have here, affects all realms all throughout the universe. This is not to say, that we won’t see these 3D illusions being experienced by others within the reality. As the reality has all kinds of individuals at varying rates of awakening and becoming aware of their Divinity. However, these will not be able to influence us as they used to. 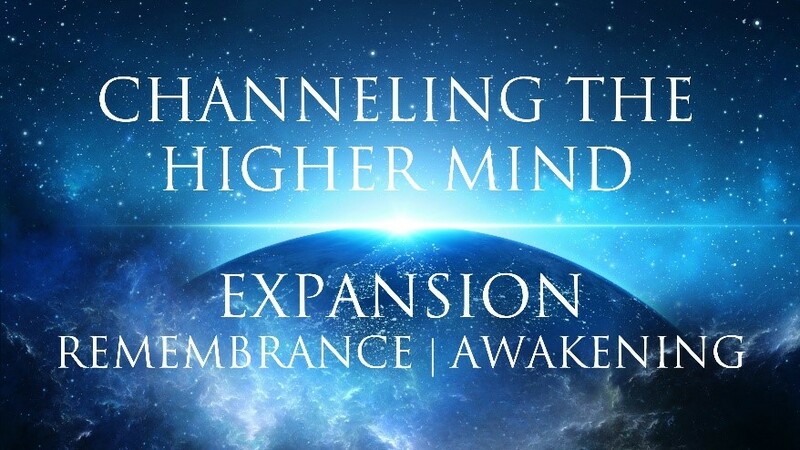 For we are functioning at a much higher frequency when we begin to progress through our integration and ascension. And as we live from our heart consciousness once more. 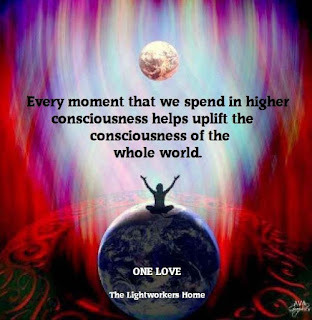 For the 5D consciousness of those that are of “service to others” is directed from the Heart. Those that have already been through their ascension period of 3D that are chiming in to help us, state that the whole process of ascension is to release all that is not our truth. To let go of all that we purposefully keep throughout our incarnational experiences that does not serve. And the more we let go of that which does not serve, the more we can replace it with that which is our truth and does. For we are freeing up our energies for service to others. 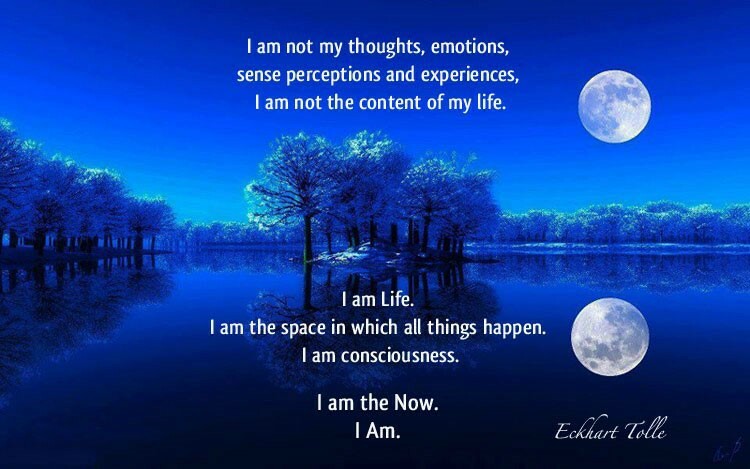 And this is part of the expanded consciousness as well. While this occurs, the levels of joy and bliss will increase. The levels of joy that we receive from being of service to all, will be magnified. For in truth, serving others by us living our own truth, is of the highest order. This is how we are of service to all. By our own living example. Being the reflection that we wish to see, within our reality. And the more we do this, the more we will see others that reflect similarly. Since the energies of our day are benevolent. We will begin to see more and more synchronicity in our lives. As, this is merely the “positive” term for what we refer to as karma. And when we live through our synchronicities, more of those with like frequency will gather together. For there are those that are of a “service to self” nature that are also ascending. However, their reality will be separate from those that go the “service to others” route. 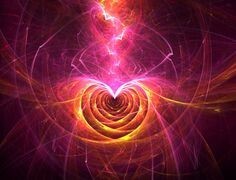 So, when we speak of 5D consciousness, we are speaking of returning to living through the heart. For this is the portal to the other dimensional realms for those that are of service to the all. And we are in total control as to how slowly or quickly this consciousness is brought into being. All is being revealed. Everyone must choose. There are no fence-sitters. We are bringing Mastery once more into our Beings. 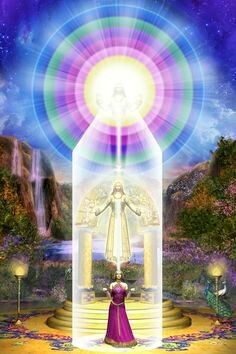 For we are Divine Ascension Masters, in the making. Many having done this before on other worlds. 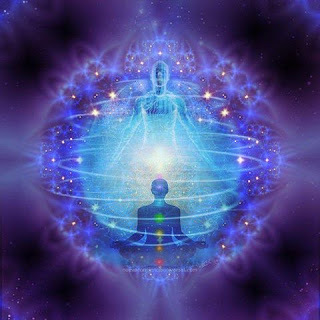 Ever ascending and expanding our reality and consciousness through our return to Source and Oneness.